Have any of our readers attempted the bullion stitch? These beautiful bullions make me almost want to try... There's helpful instructions and a video tutorial on Needle n' Thread if you're so inclined - view the tutorial. 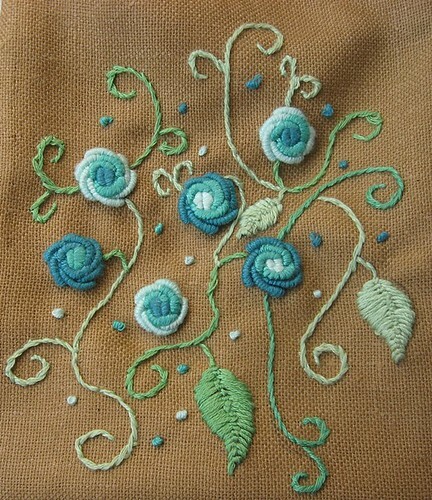 If you enjoy the look of bullion stitches, you may want to try working with EdMar threads. They are designed for Brazilian Embroidery which uses a lot of bullion derivatives. Those are lovely. I have tried the bullion stitch but mine do not turn out that wonderful. I need to practice more. Wow, that's beautiful! Makes me wish I were much, much better at embroidery.